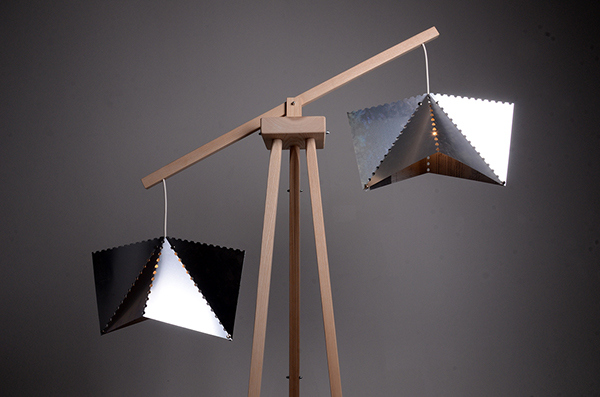 This lamp was designed as an interior object. The strongest elements of the lamp are two aluminum shades which are made from used off-set printed sheets which are as middling material. After using as print medium they throw away in salvage points. I have used it as a material with "soul" where you can find some messages of printed documents and images. It makes each piece unique. The lamp shades are folded in certainly angles to fit in an ideal shape. Each piece has been formed of variation and folding of square sheet divided into eight equal triangles. The shade has perforation in the way of folding. 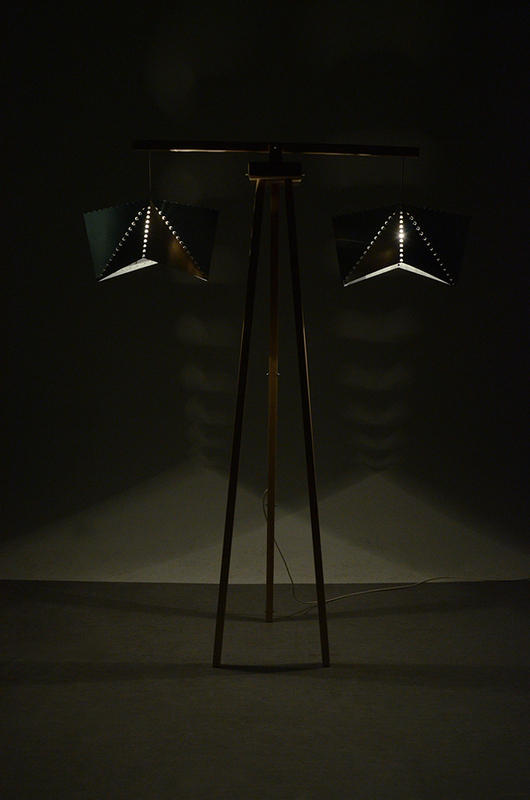 The wooden construction of lamp consists of legs and big arm which is movable. It is a moody lighting, which is suitable in modern and minimal interiors.